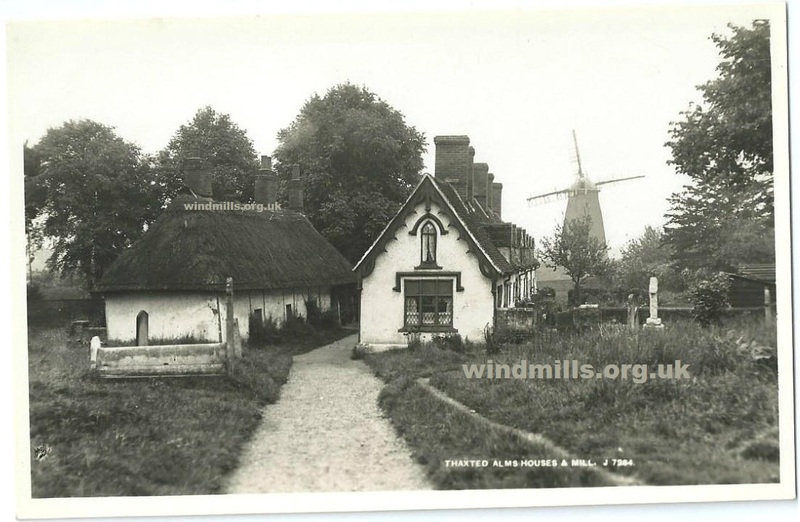 A lovely old picture postcard of the Alms houses and Windmill in Thaxted, Essex, c.1912. This is the so-called John Webb’s Windmill, which was built in 1804. It has been restored and is open to the public on Saturday and Sunday afternoons and on Bank Holidays, from Easter to end of September. The mill is currently owned by the local Parish Council and staffed by volunteers. The low thatched building in the foreground was built as a Priest’s House but converted into an almshouse building in the 18th century. The building on the right was built around 1711 as an almshouse and is still used for that purpose to this very day. This entry was posted in Old Images, Windmills and tagged essex, Thaxted on September 27, 2014 by Tower Mill.